Home / Uncategorized / *EVENT OVER* Paint-it in Magna Art Class Session Tuesday October 16, 2018 6:00 p.m.
*EVENT OVER* Paint-it in Magna Art Class Session Tuesday October 16, 2018 6:00 p.m. Event Over ~ Watch for the next session in early December, 2018. NOTE: This event has limited seating. Sales of seats will begin at 7:00 pm on Friday, October 5th. Notice the “inventory” count at the bottom of this listing. Seats can only be purchased when they are showing in inventory. This inventory will show as “Out of Stock” until 7pm on Friday, October 5th, then 20 seats will show up for sale. The inventory will count down as seats sell, and will show “Out of Stock” again once those 20 seats are reserved. THANKS! If interested please order online. Prepay by PayPal, which you can do with or without a PayPal account. If you really can’t do that, send a message to the organizers via Facebook and we’ll try to arrange alternative payments if seats are still available. Sales of seats will begin at 7:00 pm on Friday, October 5th. This inventory will show as “Out of Stock” until 7pm on Friday, October 5th, then 20 seats will show up for sale. The inventory will count down as seats sell, and will show “Out of Stock” again once those 20 seats are reserved. Paint_It Art Classes are a program of the Magna Arts Council. 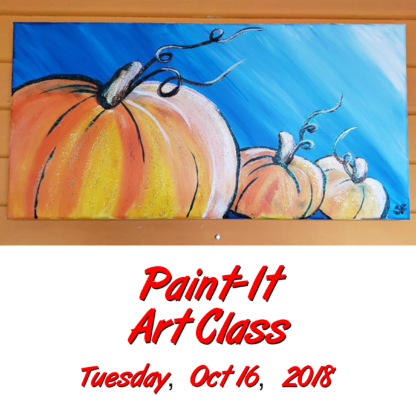 They encourage and celebrate the joy of creative art by providing a pathway to help people make their own painting in a single 2-hour session. 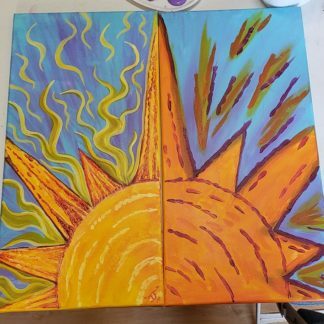 Most sessions are taught by local artist/teacher Serenity Forschen, who creates the original artwork and step-by-step lesson plans used in each session.